NIfty Option Tips is one of our premium services basically for the premium potential client. 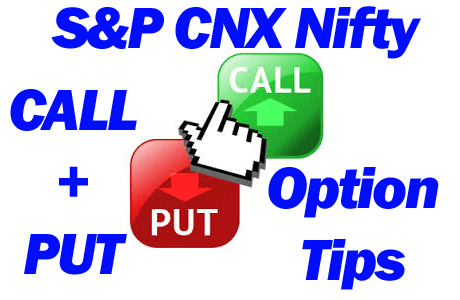 Premium Tips consists of Intraday Nifty Option Tips & Call n Put Calls depending upon market news and market condition. You would experience an excellence in this service and can feel the difference in our Customer Support as we focus on a long lasting and never ending relationship with every client. In spite, many numbers of calls given to you the quality and accuracy of the calls will remain the same. All the calls will be delivered to you at the correct time so that you get sufficient time to trade in the market. These calls can be availed both via SMS and Chat room/Telephonic Support. Option Pack is having such type of calls which are having their first target double of the basic calls, the calls are prepared with the expert technical analyst. Intraday Nifty Option Tips are best for trader/investor as compare to holding Option Tips. So that we always recommendation for only intraday Option trading in stock market. Quality 1-2 calls on Stock Option Calls on a daily basis. We Provide More Than 94% Accuracy.